The Apple MacBook Pro was unveiled by CEO Tim Cook at “Hello again”. He said that the device was a “testament” to everything that Apple does and creates. The new device features the Touch Bar, which is a programmable OLED touch bar. The Touch Bar has replaced the previously present function key row. Let’s go over all of the features! The MacBook Pro has a Touch ID sensor which is powered by Apple’s T1 chip. 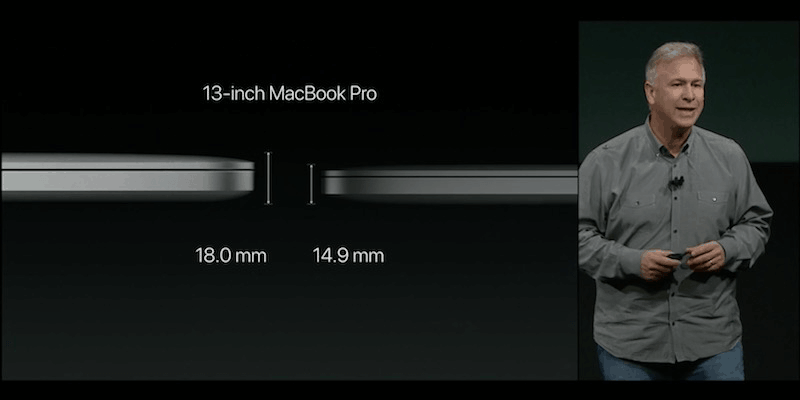 The new MacBook is available in 13 and 15-inch dimensions. You can get each size in Space Gray or Silver finish. Furthermore, the new trackpad is two times larger and the feedback is ForceTouch haptic. The glowing Apple logo has been removed from the lid. The device runs on Skylake chips and has faster graphics. 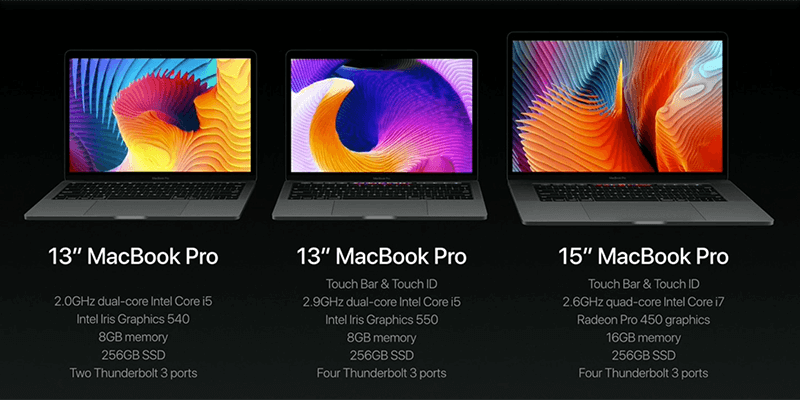 The new 13-inch MacBook Pro also weighs half a pound less that the preceding generation, coming in at three pounds. Compared to the previous generation, the new version is 17% thinner as well as 25% less in volume. Coming to the 15-inch new MacBook Pro, it weighs in at 4 pounds. It also happens to be 14% thinner than the previous generation, along with having 20% lesser volume. 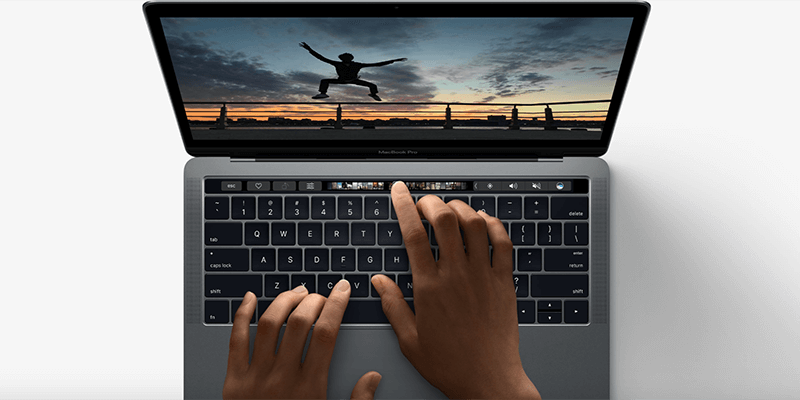 The Touch Bar is being considered as the biggest new feature. It provides users with one-touch access to all of the previous functions that needed to be accessed through hardware function keys in the previous generations. The Touch Bar offers autocorrect, suggests emoji, and even has a Siri button. The shortcuts on the Touch Bar also change depending on the kind of app that’s being used. You can easily manage your windows and create tabs through the new Touch Bar. Going to Photos will give rise to a photo strip on the Touch Bar. From there you can select the image that you want to work with and change colors, rotate it, etc. The ‘Finder’ allows you to customize the Touch Bar. 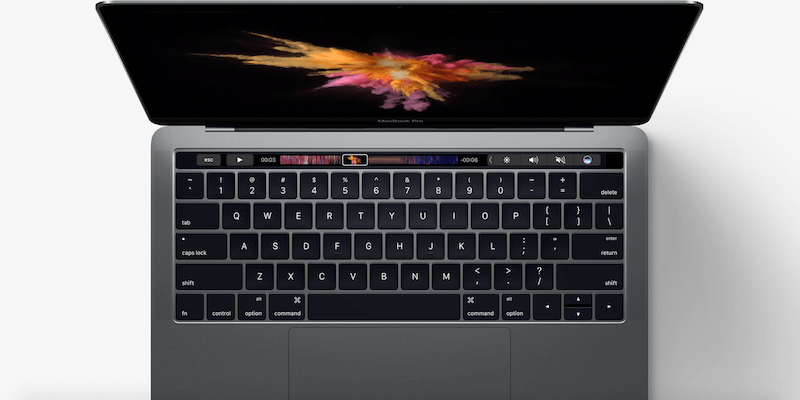 Through the Touch Bar, users can maintain control over Terminal, iTunes, iWork apps and more. A developer API has been available in order to give rise to the creation of customized shortcuts in third-party apps. The new MacBook Pro also features the Touch ID (second generation) with sapphire crystal protection. Through the Touch ID, users can lock and unlock their devices, confirm Apple Pay purchases and more. Privacy and security is maintained through the T1 chip that features the Secure Enclave. The Retina screen offers a 67% greater contrast than the previous models. It is also brighter. It also provides users with 25% more colors and consumes 30% less battery power. 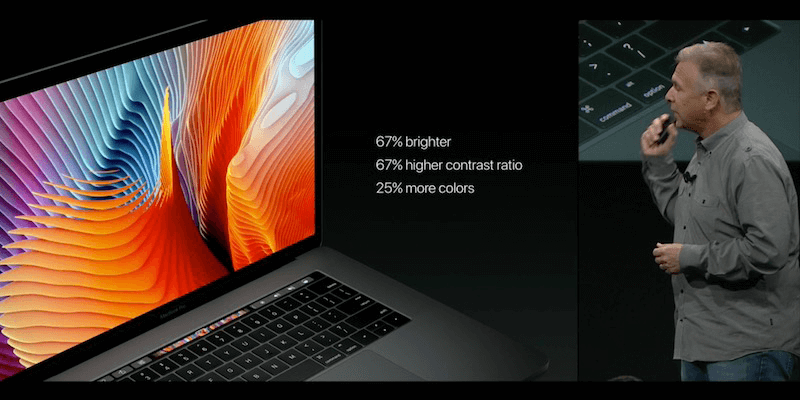 The new MacBook Pro is also the first of its kind to have a wider color gamut. Both, the 13 and 15-inch, devices feature a total of four Thunderbolt 3 ports. This allows for 40 Gbps bandwidth, which is twice than what was offered by Thunderbolt 2. It also gives users the ability drive a 5K display as well as use a single cable to power their device. The Thunderbolt 3 ports are USB-C and DisplayPort 1.2 video-interconnect standard compatible. The 13-inch MacBook Pro has an Intel dual-core i5 or i7 processor. It offers 2,133 MHz memory, integrated Intel Iris graphics, 64 megabytes of eDRAM, and a SSD that offers a 3.1 gigabytes per second throughput. The 15-inch is a bit more powerful. It has an Intel sixth-generation quad-core Core i7 processor. It offers 2,1333MHz memory, and discreet Radeon Pro graphics. It provides 60% faster gaming performance and is 57% faster during video editing. The speaker-design is also a new one. The dynamic range has been increased two folds than the previous generation. The battery life is ten hours. You can pre-order the new MacBook Pro online at Apple.com, any Apple retail stores and from authorized resellers. Shipping can take up to 2-3 weeks. The standard 13-inch is priced at $1,799, while the 15-inch is going for $2,399. The 13-inch without the Touch ID and Touch Bar is priced at $1,499. However, the 11-inch Air model has been discontinued.